Former AT&T boss and 10-month GM CEO Ed Whitacre has a book out about how he saved GM. I've already lampooned that notion, but it's nice to see 'Maximum' Bob Lutz chime in, if only because Lutz was there and because Lutz is a jet-flying, Global Warming-denying madman who always speaks his mind. Lutz, predictably, calls Whitacre's story a "fable." The rant over on Forbes is pure Lutz. It's self-effacing, hilarious, and even a little surprising (he says something nice about President Obama). Presumably, each of these pockets of ineffectiveness was cured after their encounter with “Big Ed”, and rapidly spread the gospel until all of GM’s hundreds of thousands of global employees got the word and quickly set about creating compelling new products, thus rocketing the company to financial success. If you believe any of this, I need to talk to you about ocean front property in Nebraska. Ed’s most notable contribution to design was a comment I recall at a Cadillac styling session. Professing to know nothing about cars (true), he nevertheless opined that Cadillacs had the look of “old-fashioned Choo-choo trains”. Get it? He's old and out of touch! Ed Whitacre is a good leader and he made an incremental improvement to the organization. But to suggest that he is the architect of GM’s current success is a bit like crediting the rooster with making the sun come up. 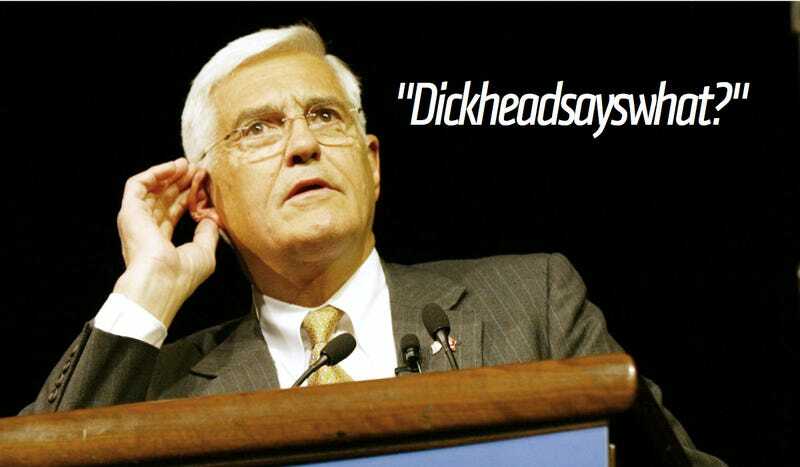 We love you Bob Lutz.